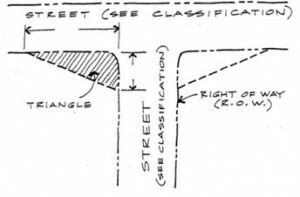 To make sure all intersections in the City are safe there shall be an unoccupied triangular vision clearance space at the street corner of a corner lot bounded by the street lines and a setback line connecting points 10 feet from the corner on each street line. This distance is increased to 50 feet for arterial streets which intersect with other arterial streets or railways. 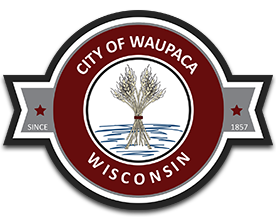 No obstructions such as structures, parking or vegetation shall be permitted in between the heights of 2 ½ feet and 10 feet above the curb level.